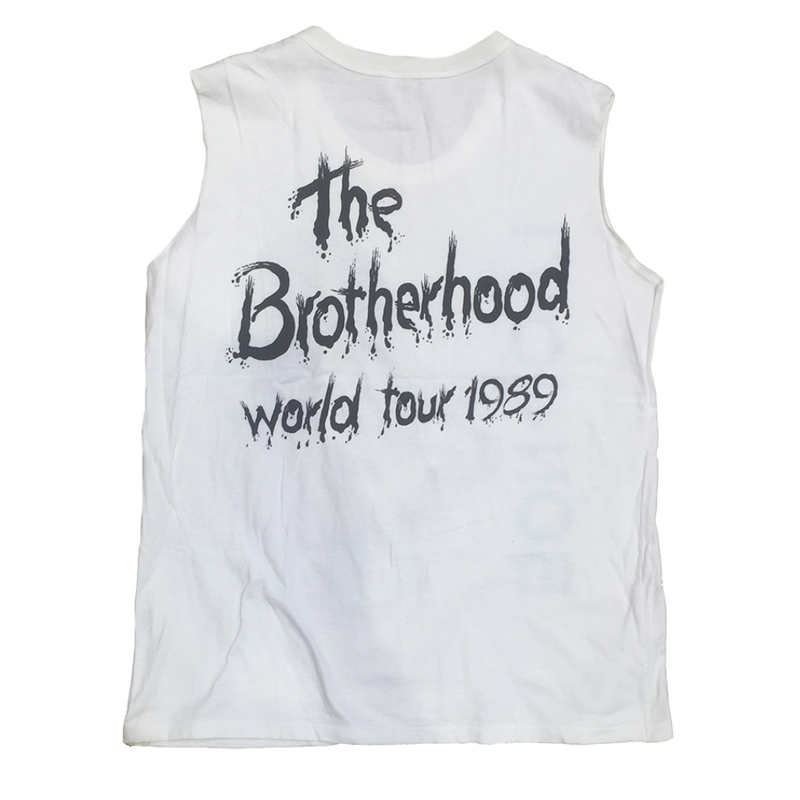 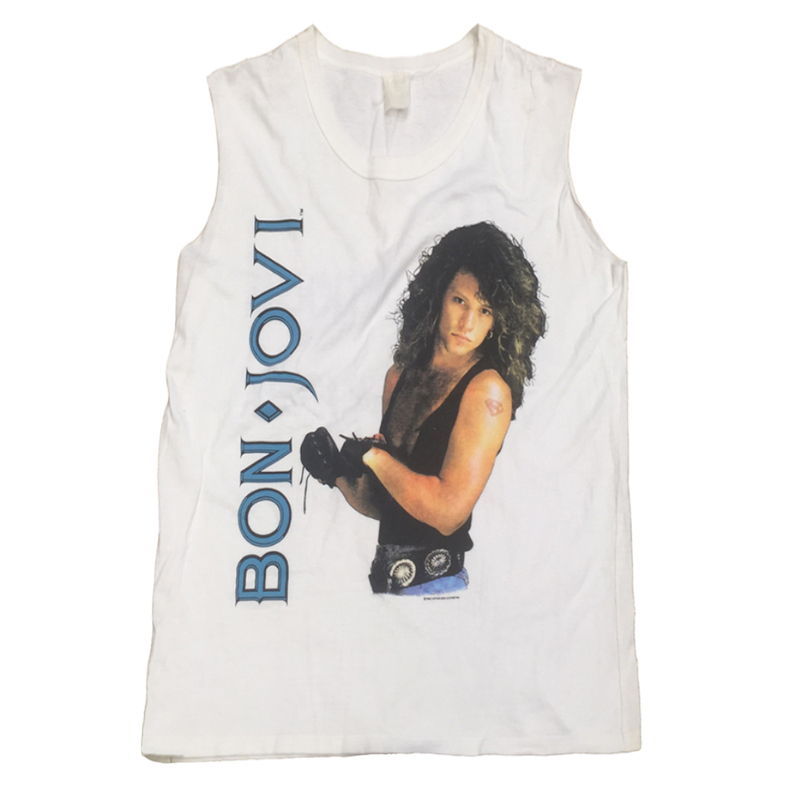 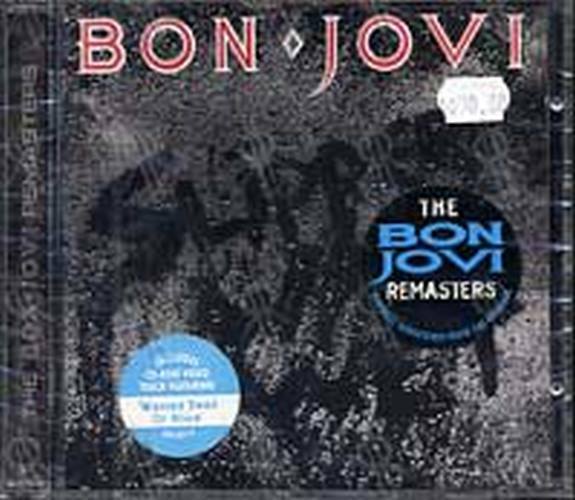 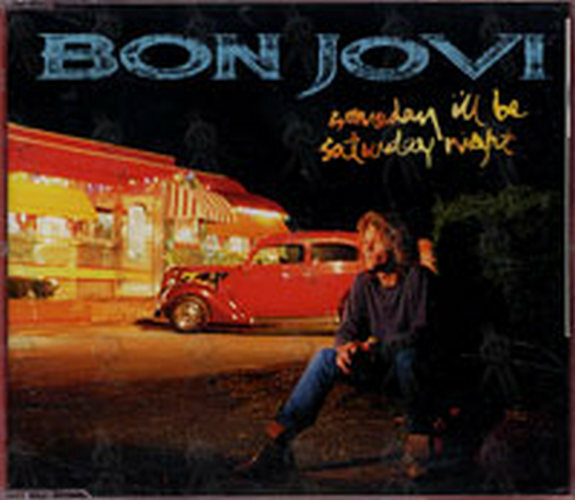 White singlet with Bon Jovi design on front; The Brotherhood 1989 World Tour design on the back. 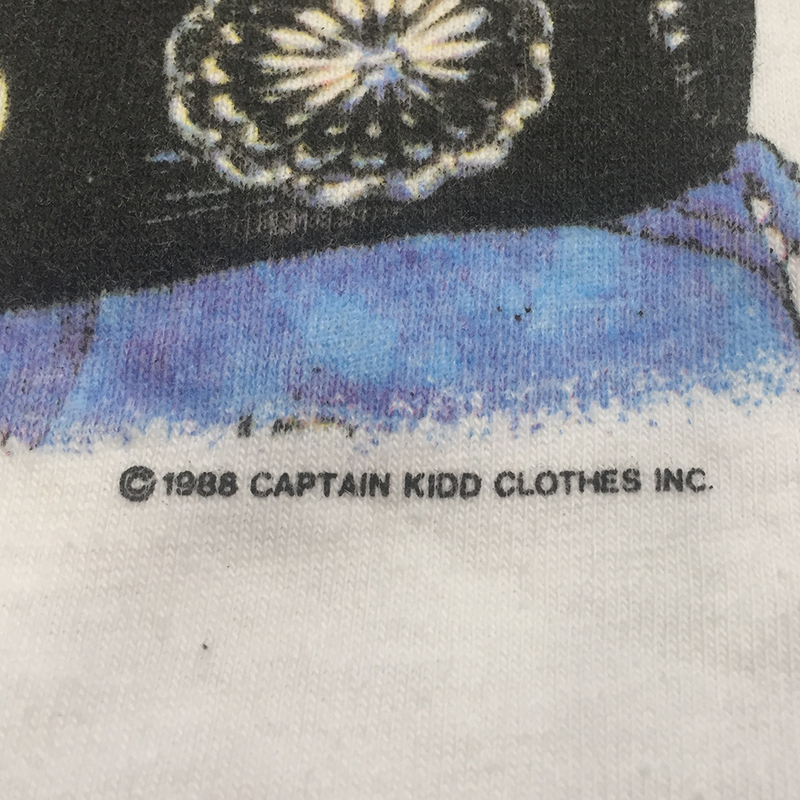 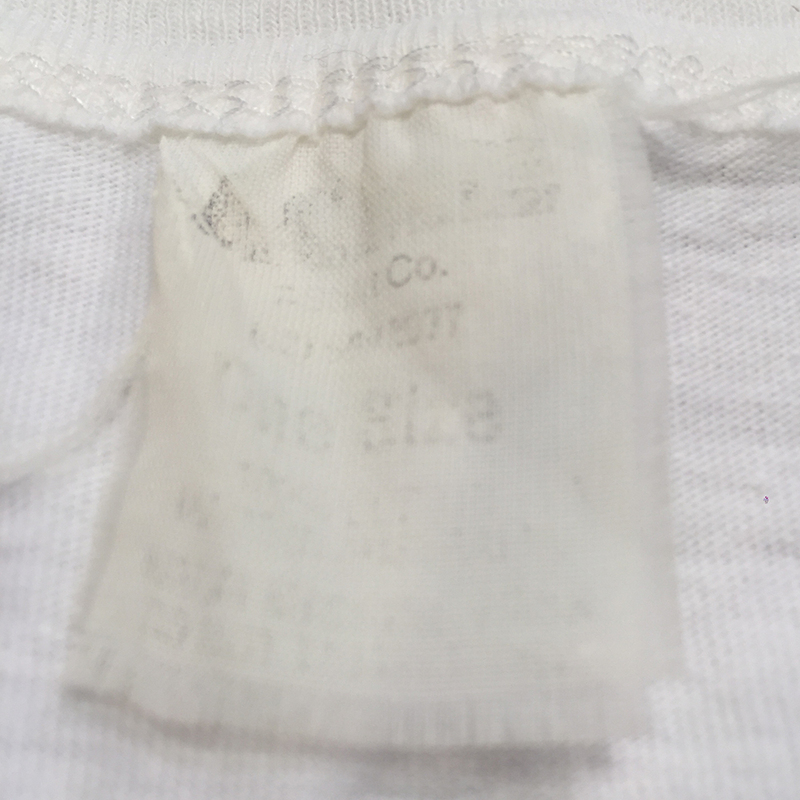 Printed on a licensed ACME brand shirt. Only size available: 53cm from neck to bottom, 52cm from pit to pit.